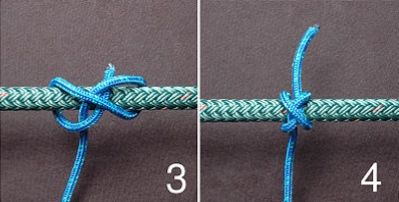 The constrictor knot is appropriate for situations where secure temporary or semi-permanent binding is needed. Made with string or twine it is especially effective, as the binding force is concentrated over a smaller area. When tying over soft material such as the neck of a bag, hard stiff cord is more effective. When tying over hard surfaces, soft stretchy line is preferred. The constrictor knot's severe bite (which makes it so effective) can damage or disfigure items it is tied around. To exert extreme tension on the knot without injuring the hands, one can fashion handles using marline spike hitches made around two rods. 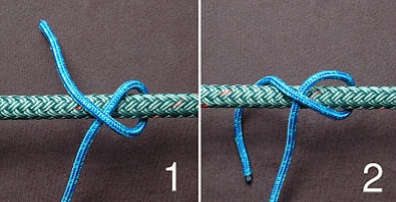 Constrictor knots can be used for temporarily binding the fibres of a rope (or strand ends) together while splicing, or when cutting to length and before properly whipping the ends. Constrictor knots can also be quite effective as improvised hose clamps or cable ties. Noted master-rigger Brian Toss says of the constrictor: "To know the knot is to constantly find uses for it.